Two bedroom terraced house benefitting from gas central heating with Worcester Bosch boiler, double glazing, loft storage and paved rear garden with storage shed. Accommodation comprises open plan lounge/diner, separate kitchen with direct access to the garden and storage cupboard to the ground floor. 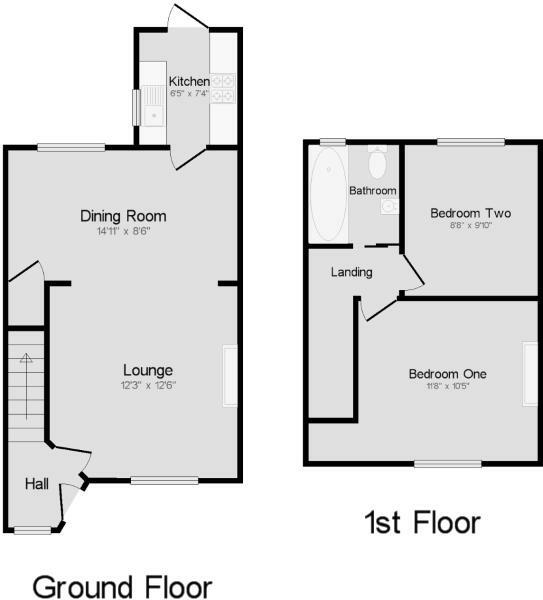 On the first floor are two double bedrooms, bathroom and access to the loft from the landing. Positioned in proximity of Valley Retail Park providing various restaurants, departments stores, bowling alley and cinema. The property is also within 0.6 miles of Therapia Lane Tram Stop serving East Croydon Station, Croydon Town Centre and Wimbledon. Disclaimer - Property reference SDS180171. The information displayed about this property comprises a property advertisement. Rightmove.co.uk makes no warranty as to the accuracy or completeness of the advertisement or any linked or associated information, and Rightmove has no control over the content. This property advertisement does not constitute property particulars. The information is provided and maintained by Bairstow Eves, Croydon. Please contact the selling agent or developer directly to obtain any information which may be available under the terms of The Energy Performance of Buildings (Certificates and Inspections) (England and Wales) Regulations 2007 or the Home Report if in relation to a residential property in Scotland.